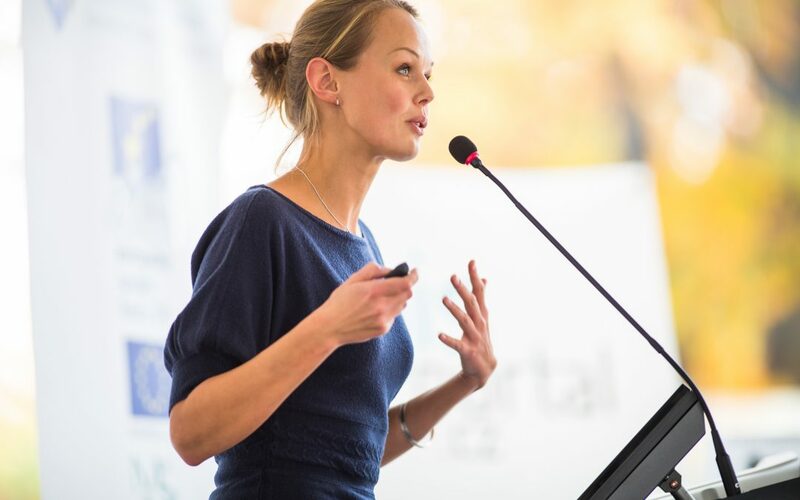 When you speak in public it’s important to engage your audience, there are three very good techniques to help accomplish this. You need to arrange seating in your audience so that people can sit in small groups, you then tell one or all the groups that you will be asking for their input during the speech. This keeps people engaged and helps you divert attention from yourself if you need a break. Ask the audience a question they have to think about to answer, it keeps people engaged and can help you get data on your audience. Finally, pair up audience members, limit their time so they can concentrate and engage in what you are trying to convey. This gives your audience a chance to engage with each other and understand your topic more. All of these techniques can create success. Ask each individual within a smaller group to answer a question or provide an example to the rest of the room. Ask the audience a question and provide them with a range for answering. Ask the audience to pick a partner to do an activity with.